1) NLA for Her Protein Powder Chocolate Éclair 2lb – I haven’t tried this protein powder YET, but I’m really excited to have my first chocolate flavor protein powder. I really hope this doesn’t disappoint! I foresee plenty of protein muffins, mug cakes, and protein oat pancakes in the future with this 2lb puppy. 2) Kay’s Naturals Protein Cereal Apple Cinnamon – This cereal is jam packed with 20 grams of protein per serving, however it’s lacking in the flavor department. I was expecting Apple Jacks to be honest, silly me. However, this cereal keeps you full for a loooong time, which is saying a lot for a cereal. 3) FlapJacked Protein Pancake Mix Apple Cinnamon – I completely and utterly FAILED at making these this morning. I lack patience, so I set the stove burner on high, burning the pancakes and smoking out my house. I still ate them though and they weren’t bad! I learned my lesson, low heat, patience, and they will cook all the way through and NOT burn. 4) Quest Protein Bar Apple Pie (not pictured, OOoops, I ate it!) – I’m a huge Questie at heart, but my pocket book prevents me from buying too many Quest Bars. When I get an order of Quest Bars in, I literally have to ration and write out a schedule for when I can eat them. They’re so damn good! Something about this month’s Apple Pie Quest Bar had me weak at the knees. It was so soft without microwaving! The Chocolate Chip Cookie Dough Quest Bars I have in my pantry are hard as a rock. 5) Chike Protein Espresso Drink (2 packets) – This drink mix is absolutely delicious and kept me caffeinated for a long time. The taste is great, I don’t taste any protein, or whey after taste. Just add crushed ice in a magic bullet, almond milk, and voila! You have yourself a tasty mocha Frappuccino. 6) Lenny & Larry’s Protein Cookies Pumpkin Spice (2 cookies) – These… are… to … DIE… FOR! Soooooo good I was not expecting that. I thought these cookies would be chalky and dry and taste like protein, but they were moist and tasted just like Pumpkin Spice. I will definitely be stocking up on a case of this flavor before the holiday season has ended. 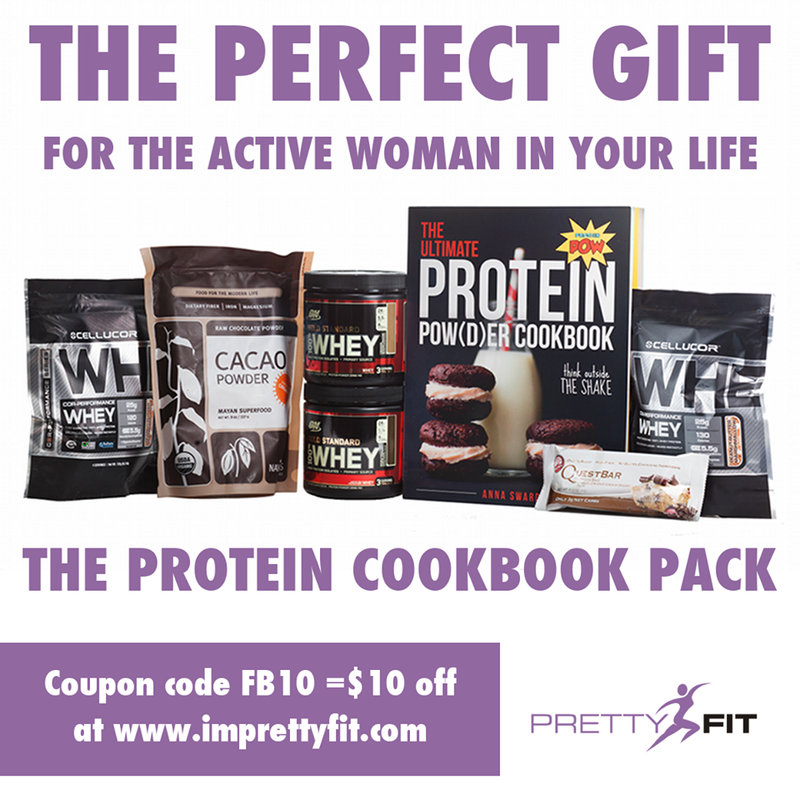 7) BONUS GIFT: Chike Powdered Peanut Butter – PrettyFit blessed us with a bonus gift for sending November packs just a tad bit late. I appreciate this kind of service, going the extra mile to ensure customer satisfaction. Very impressed with this move and I will be a happy customer for many more months to come! If you haven’t yet, you need to sign up soon! Get $10 off your first pack! Monthly packs typically cost $45, so that’s saving a ton of money. Not to mention, each pack is curated to hold an approximate value of $100. If you do a YouTube review, you could earn another $10 off a future pack and possible win a free one. I did a YouTube review in one take when I received my November pack, so that’s $10 off the next one. 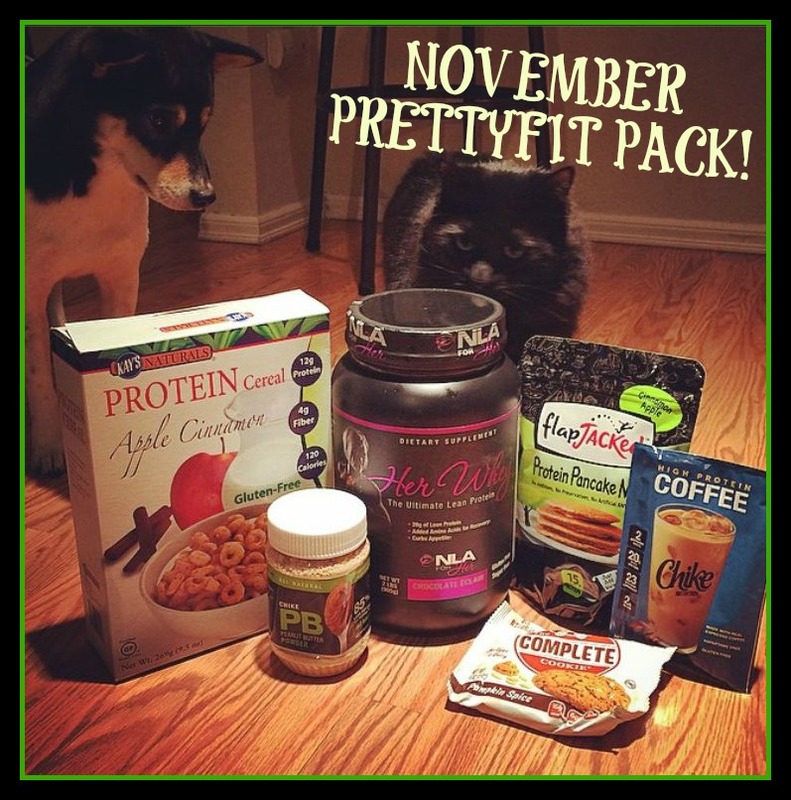 Check out December’s PrettyFit pack below. Sign up before it’s too late! Best part is, you can skip a month if you decide you don’t like what’s in that pack. I will be skipping December so I can buy more Christmas presents for people. They are very flexible. This entry was tagged chike, espresso, fit, fitness, health, healthy, imprettyfit, lifting, NLA, prettyfit, product review, protein, protein cereal, protein cookie, protein powder, review, training, working out, workout. Bookmark the permalink. I love PrettyFit! I ordered their Bikini Pack and Fall Protein Pack so far. Too broke for December’s, plus I have more protein than I can handle right now! Awwww gee, thanks 🙂 I’m blushing! That was one take, I took my glasses off so I’m sure I was squinting half the time, ha!